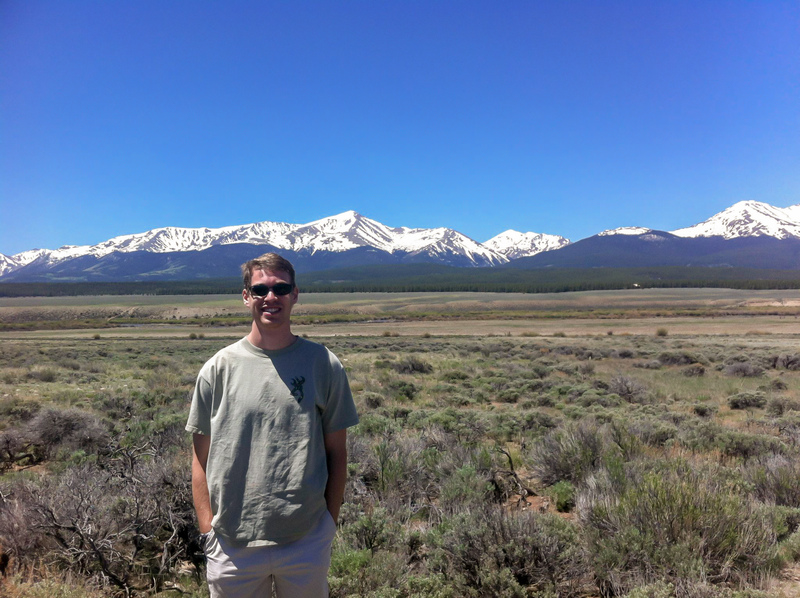 Landon Lockhart is a graduate research assistant at UTIG and a PhD student at the Jackson School of Geosciences. His research uses data gathered at the Mad Dog Field in the Gulf of Mexico to refine a new technique which predicts pressure at deep water drilling sites. The technique known as full stress tensor (FES) was the subject of his master’s thesis for which he recently received the Halliburton Landmark Earth Model Award. We asked Landon to tell us a little about how he came to be a geoscientist, what motivates his research and how he knows he is on the right path. 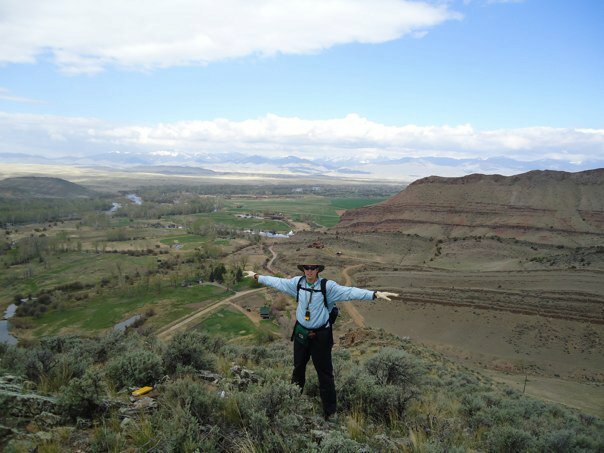 Landon was inspired to study geosciences after his brother took part in a geology field camp on the Block Mountain, outside Dillon, Montana. What first attracted you to the geosciences? During the summer between my junior and senior years of high school when I was trying to figure out what I should study in college, my brother was attending geology field camp in Montana. The pictures and stories he shared convinced me beyond a doubt that I too should go into the field of geosciences. I also thought the rocks he brought home from the field (which now, in addition to all the rocks I have collected over the years, litter our parents’ house, much to my mother’s dismay) were pretty cool too. Your master’s thesis was recognized by the Halliburton Landmark Earth Model Award as an outstanding piece of work. How would you describe your thesis and why are the results so important? My MS research focused on developing an improved way to predict pore pressure. Pore pressure affects a number of geologic processes. An accurate knowledge of pore pressure is critical to map the migration of formation fluids, determine integrity of reservoir seals, assist in casing designs, and predict earthquake and submarine landslide detachments. Moreover, the pressure of fluids in pore spaces poses a serious risk to drillers. I became acutely aware of the dangers associated with these highly pressurized fluids during the Deepwater Horizon oil spill in April 2010. For months, I watched as thousands of barrels of oil gushed out of the ground and contaminated the environment. Perhaps what most affected me, though, were the eleven individuals killed and seventeen injured. 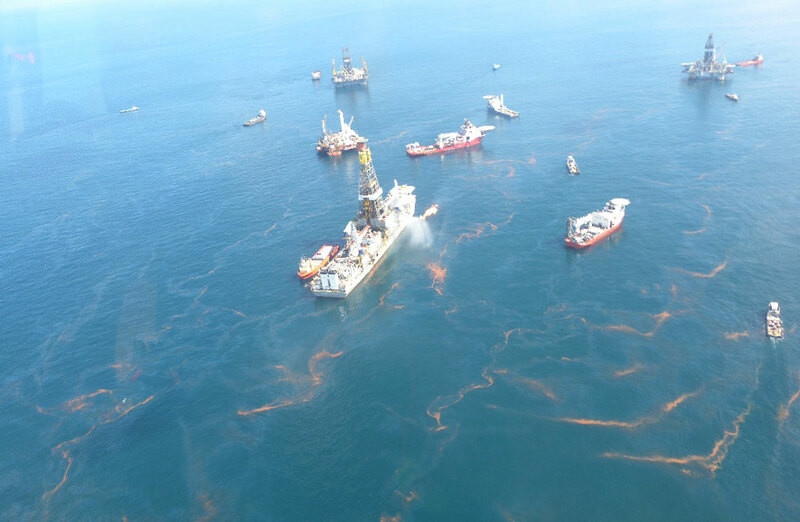 This was particularly troubling to me because my brother was scheduled to spend that summer working on a similar offshore oil rig in the Gulf of Mexico; his internship was nixed following the BP explosion, which occurred just weeks before he was set to start. On a very personal level, the BP blowout led me to realize the human and environmental destruction that can result if mistakes are made. The results of my research matter, because they contribute to our overall efforts in ensuring the safety of others and the environment, in addition to understanding of how pressure and stress interact. Why did you decide to enter the Earth Model Award competition? My thesis was the product of a multifaceted venture that required a tremendous amount of time and effort on the part of many people in my research group. I decided to enter the Earth Model Award so that I might be able to give recognition to the people who made my thesis possible (Peter Flemings, Maria Nikolinakou, Mahdi Heidari, to name a few). Winning this award means that my school and advisors get the recognition they deserve. It also affirms that I am on the right path doing what I love and am passionate about. All credit goes to my advisor Peter Flemings and my co-advisor Maria Nikolinakou. I am extremely fortunate to have been and continue to be advised by such exceptional individuals. Without them, I would have never had a chance at winning this award. 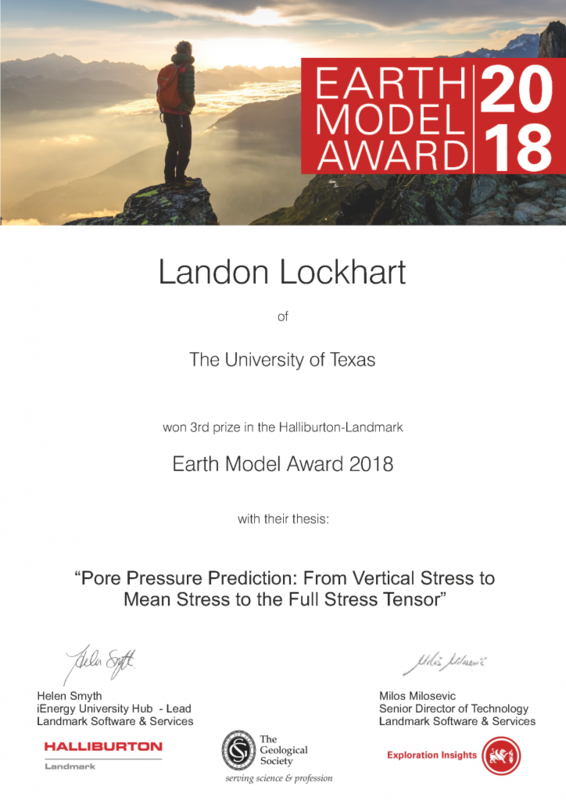 Read about Landon winning the Halliburton Landmark Earth Model Award 2018 here.